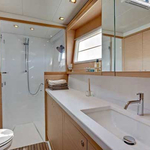 Sailboat Lagoon 450 named Endurance has been built in 2019. 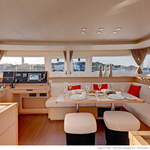 We offer this vessel from port Lefkada in the region close to Ionian Sea. Endurance is certified for 12 persons. Layout of the vessel is 12 (8+2+2). 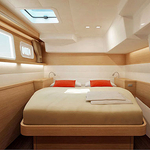 Lagoon 450 Endurance is equipped with 8 bedrooms. For guests disposal there are 4 toilettes. With motor 57 Endurance can move really fast. 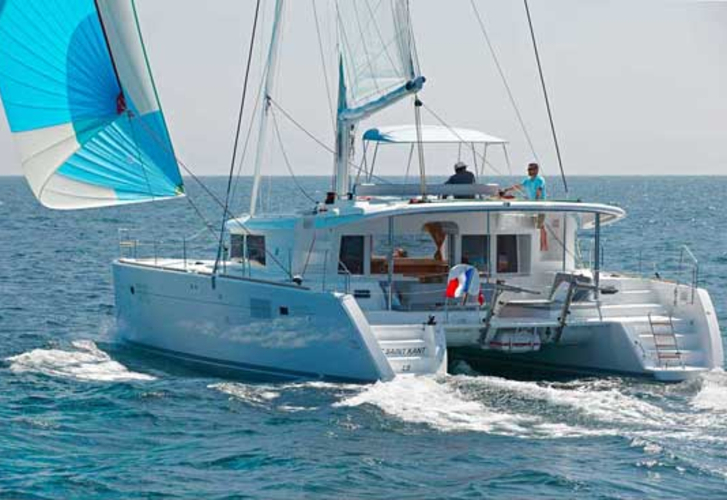 Endurance is 13.95 meters long and 7.84 m wide. 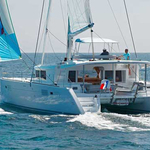 Draft is 1.3 m. Use our website to find different yachts clicking here: Catamarans Lefkada. 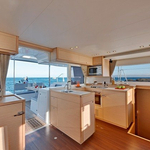 Vessel's equipment includes : Radio / cd player, 2 refrigerators, Water maker, Air conditioning, refrigerator in cockpit, Barbecue, Dinghy, Electric winch, Hydraulic gangway, Bimini top, Wc pump electrical, Microwave, generator, Solar panels, Inverter 12v-220v, Gps plotter, Hi-Fi system, Autopilot, Radar, Electric hallyard winch, Mainsail with lazy jack, Classic mainsail, Outboard engine, Bow thruster. . Deposit has value 4000.00 EUR. 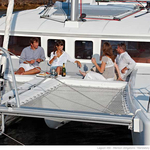 Choose our offer and have good time on the deck of Endurance. 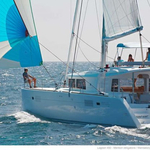 This Lagoon 450 from Lefkada from Greece Click for right here: Catamarans Greece.